MORE than fifteen years after the Good Friday Agreement, Catholics continue to form a higher proportion of the prison population and are more likely to be punished when behind bars. Prison reforms that emerged from the peace process have failed to tackle the high number of Catholics being jailed, but experts said the disparity may be due to issues such as poverty and unemployment. The overall Northern Ireland population is 48% Protestant and 45% Catholic, but in jails the positions are reversed, with 53.2% of inmates from a Catholic background, and 34.2% of prisoners Protestant. New figures obtained by The Detail also reveal that last year Catholics accounted for almost 70% of all the disciplinary charges levelled against inmates, while Protestant prisoners accounted for just over 20% of punishments. The trend of disciplinary levels are examined in a report commissioned by the prison service over two years ago, but while the contents of the document were never brought to public attention by government, a copy has now been obtained by The Detail. 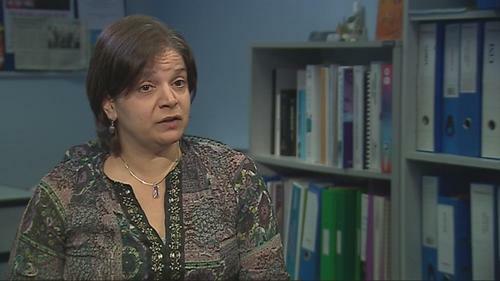 The study entitled ‘Discipline and Disparity’ was carried out by Queen’s University Academics Michelle Butler and Shadd Maruna. The report examined the ability of mainly Protestant prison staff and prisoners from a Catholic background to interact with one another in positive and constructive ways. It highlights concerns by some Catholic prisoners that they face discrimination from prison staff while other inmates thought prison staff simply felt more comfortable interacting with prisoners who came from similar backgrounds. One staff interviewee stated that Catholic prisoners were especially likely to be involved in prolific punishment cycles due to a “more rebellious nature and a greater concern with maintaining a masculine image compared to their Protestant counterparts”. 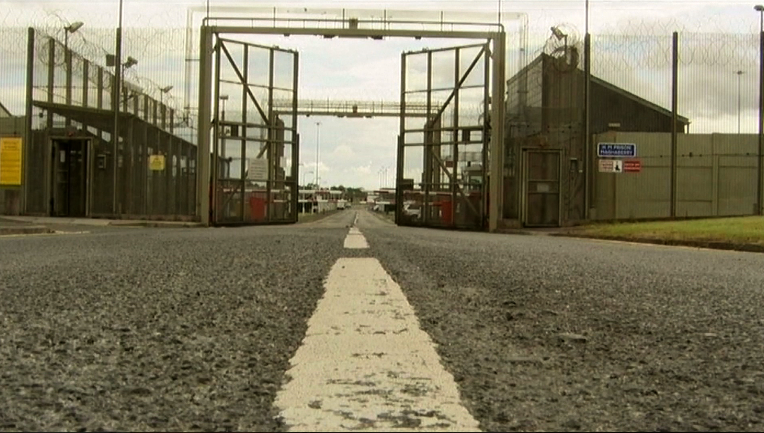 The report found that as both prisoners and staff are drawn from a society which is still struggling to deal with past atrocities, there was considerable “cultural and historical baggage” that was having an impact on the daily relationships between prisoner and prison officer, while staff also continued to operate under the threat of dissident republican violence. In a further development, an Independent Monitoring Board report published in December 2013 indicated it was aware of the ‘Discipline and Disparity’ document, but stated that the prison service “has been in possession of its findings for over two years and added that it still appears that no action has actually been taken to address the findings of this contentious issue”. Queen’s University criminology professor Phil Scraton, who was not part of the research team for this study, said the report raised significant issues. “The prison service has a responsibility to answer how it has addressed the issues of institutional discrimination raised by this report." The academic is a leading expert on Northern Ireland prisons and says he is concerned that the report was not publicly disclosed by the prison service. In a statement to The Detail the Northern Ireland Prison Service (NIPS) commented on the issue of religious breakdown in prisons. A spokesperson said: "NI Prison Service has no control over who is committed to prison as this is a matter for the courts. Figures obtained by The Detail show that Catholics accounted for almost 70% (67.5%) of all the disciplinary charges levelled against inmates across the entire prison estate, while Protestant prisoners accounted for just over 20% of punishments (23.6%). In Northern Ireland’s high security prison,Maghaberry, Catholic’s represent 52% of the population and 67% of disciplinary charges. “The higher proportion of charges laid against prisoners from a Catholic background reflect the higher numbers of prisoners from a Catholic background in custody. The largest variance (in any single prison) is in fact less than 15 percentage points." Further coverage today looks at how the prison system was shaped by the Troubles, the controversial use of strip searching and reform of the prison estate. These findings emerge at a time when Northern Ireland’s entire prison service is undergoing major reform. In 2011 the Prison Review Team’s report chaired by Anne Owers formed the basis for a once in a generation review of the prison system. It was seen as the blue print for future reform of the service. The report first raised concerns that there was a disproportionate number of Catholics in jail and that they were also disproportionately represented in matters relating to prison discipline. The report said it could find “no clear explanation for the disparity”, but suggested it may be because there are higher numbers of Catholics among younger age brackets in Northern Ireland. Others have said poverty and unemployment could be a factor. Such problems affect both the Catholic and Protestant communities, but official figures show higher levels of deprivation among Catholics in Northern Ireland. On youth unemployment, for example, 15 per cent of Protestants in the 18-24 year-old age group are unemployed but for Catholics in the same category the figure is 20 per cent. Include Youth works with young people in need or at risk, including teenagers from a care background and young people who have committed or are at risk of committing crime. Koulla Yiasouma, Director at Include Youth, says further exploration of how these factors are affecting the trends in prison is needed. “There is no one explanation for these figures, however evidence shows that young people involved with offending behaviour here and across the developed World are more likely to come from poverty, socio and economically disadvantaged areas. The figures obtained by The Detail under a Freedom of Information request outline the average population of Northern Ireland’s prisons as well as the number of “adjudication charges” brought between January 2013 and December 2013. The full figures show that last year Catholics accounted for 53.2% of the overall average prison population while Protestant inmates represented only 34.2%, with a further 12.6% classified as ‘other religion’. The full figures on such punishments obtained by The Detail show that during January 2013 to December 2013 Catholic prisoners made up over half (53.2%) of the prison population and accounted for almost 70% of disciplinary charges. A further breakdown of the figures show that in Hydebank Wood prison, which houses both young offenders and females, Catholic prisoners made up almost 60% of the population and accounted for 70.4% of adjudication charges last year. In Maghaberry prison Catholic prisoners represented just over half of the population and made up over 65% of all adjudication charges. “We would suggest that the very fact that adjudications are used with such frequency would indicate that they may not be the most effective response to certain types of behaviour. “Research has indicated that an overly punitive approach amongst prison staff may be indicative of poor relationships between staff and management, and we would recommend that NIPS gives urgent consideration to this issue to ensure staff are enabled to develop those ‘softer’ skills of mediation and conflict resolution to improve the safety of people living and working in prisons”. The latest Independent Monitoring Board’s (IMB) report on Maghaberry prison published in December 2013 highlighted that there was a marked under representation of Catholic prison officers. The latest figures related by the prison service in October 2013 show that 79.6% of prison officer staff were Protestant, 11.9% were Catholic and 8.5% were non determined. A 2009 Criminal Justice Inspectorate Report looking at the justice system initially highlighted that Catholic prisoners in each of the three NIPS establishments appeared to be disciplined more often than other prisoners. As a result NIPS commissioned a study to address these concerns. The independent report, “Discipline and Disparity”, was completed in January 2012, but was not published. As reported above, The Detail has now obtained a copy under a Freedom of Information request. The report raises concerns about the high number of Catholic adjudication charges and suggests that the figures could be skewed by a small number of prisoners who had “an unusually high number” of disciplinary actions. The report also highlights research on prisoners’ home postcodes from 2011, that showed the three most prominent wards were all in predominantly Catholic inner city areas of west and north Belfast. It stated that for historical reasons, prison staff were unlikely to live in these areas. In the report prisoner interviewees and some staff interviewees stated that they felt some officers were too quick to resort to formal adjudication proceedings for situations that could be informally resolved. A number of explanations were put forward to explain this, including a history of limited prisoner-staff interaction in NIPS and a desire from staff to keep things “strictly by the book” to protect themselves from criticism from outside agencies. Prisoners almost universally described adjudication hearings as an empty ritual. However the majority of staff interviewees said that prison officers were reluctant to use the formal adjudication process without concrete, corroborating evidence due to its time-consuming nature. 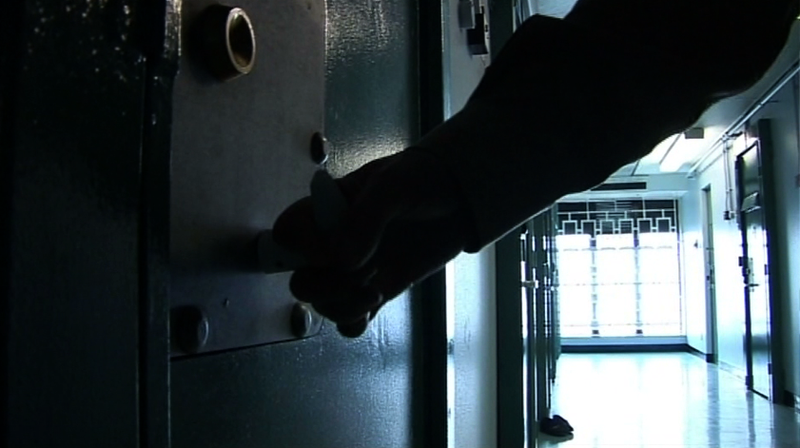 Some prisoners from a Catholic background, particularly those from west Belfast, said that they felt that they were discriminated against by staff. The report acknowledged that some of these perceptions appeared to be based on subtle interactions between prisoners and staff, and could very easily be in the person’s “own imagination”. Some Catholic prisoners thought that prison staff simply felt more comfortable interacting with prisoners who came from similar backgrounds or shared similar views as their own. While other prisoners from a Protestant background disagreed with this assessment and felt that Catholic prisoners were actually treated better than Protestants. They argued that because staff members were sensitive to charges of being sectarian, they over-compensated by treating Catholic prisoners more leniently. However the report also stated there were a number of prisoners from a Protestant background who supported the view that Catholic prisoners faced discrimination in the NIPS. When the research for the report was being carried out a series of protests were being held by republican prisoners in Roe House in Maghaberry prison. As a result interviewees frequently mentioned the impact of these protests and a number of staff interviewees described being threatened or having colleagues killed by republican prisoners in the past. Many staff in Maghaberry prison felt that such threats remained very real. The report stated that Roe House was a “vivid, daily reminder of how Northern Ireland’s very recent history may have a particular impact on the ability of staff and prisoners from a Catholic background to interact with one another in positive, constructive ways”. Some staff stated that Catholic prisoners were especially likely to be involved in prolific punishment cycles due to a “more rebellious nature and a greater concern with maintaining a masculine image compared to their Protestant counterparts”. Other staff argued that the Troubles in Northern Ireland had encouraged a culture of disrespect and disregard for authority figures in both Protestant and Catholic inner-city deprived areas, which was contributing to defiant behavior within prison. The researchers found that prisoners and staff members brought considerable “cultural and historical baggage” with them into the prison situation. They stated that both prisoners and staff are drawn from a society which continues to experience segregation, mutual distrust, antagonism and is struggling to deal with past atrocities. The report concludes that social identity is like an “elephant in the living room” of the NIPS that staff and management did not want to talk about. Queen’s University criminology professor Phil Scraton said the report raised significant points. “First is the suggestion that at the time of the research Catholics were disproportionately sentenced to prison and once in prison were more likely to receive punitive adjudications for misconduct inside. “Second, and no less important, is the question of why an independent report commissioned by NIPS has not been publicly disclosed."